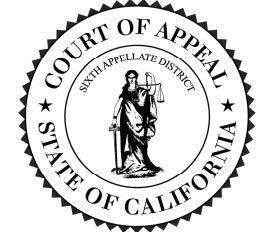 The Court of Appeal, Sixth Appellate District has announced its intention to destroy the following criminal, juvenile, and civil records pursuant to California Rules of Court, rule 10.1028(d). All criminal and juvenile cases (excluding those with published opinions) are preserved for at least 20 years. All civil cases (excluding those with published opinions) are preserved for at least 10 years. The records transfer lists with case numbers and captions are file numbers: 71, 72, 74, 111, 112, and 118. Please note that records and case files for actions that result in a published opinion will be retained permanently by the California State Archives, 1020 “O” Street, Sacramento, CA 95814. The Reference Desk can be contacted at 916-653-2246. Their website is www.sos.ca.gov/archives.